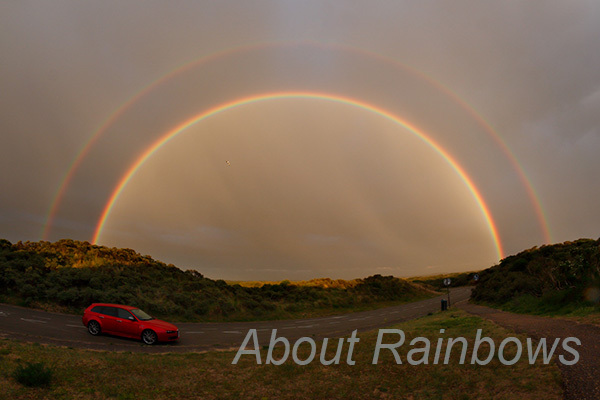 Michiel de Boer (Tele Sunsets) pictures primary and secondary bows arcing a Netherlands sky. Alexanders dark band shows nicely. More images below. Why are rainbows circular. Why do we see these and other highly geometric patterns in the sky?